The Cheyenne dentists at East Pershing Dental could talk all day about the best dental habits—that’s why we’re dentists! But we’re also here to discourage detrimental dental behaviors so your smile can be bright, white, and healthy for years to come. In this blog, we’ll explore some of the biggest dental mistakes you can make, and give you solutions for how to avoid and fix these mistakes. With the right mindset and an understanding of what not to do in the world of oral health, you’ll have a much healthier smile now and in the future! You floss incorrectly (or don’t floss at all). Admit it—you haven’t flossed in awhile, have you? We get it—flossing isn’t exactly the most comfortable or easy oral health activity, but it is essential for proper oral health and the prevention of tooth decay and gum disease. However, flossing incorrectly is almost just as bad as not flossing at all. Flossing is more than just rubbing floss between your teeth—you need to make sure you’re using a gentle back-and-forth motion to remove food and bacteria from the surfaces between your teeth, and you must also pull the floss down gently just below the gumline to prevent any uncomfortable pinching, scraping, or cutting against the gums. Ouch! Be sure to find shred-resistant floss if your flossing methods cause your floss to break or get stuck between your teeth—and if the heavy-duty stuff is still shredded by your teeth, it might be worth stopping by your nearby Cheyenne dentist’s office to see if there are sharp surfaces of your teeth that could be filled in or smoothed out. You’ve been brushing your teeth in the same way since you were a kid—but what if we told you that you’ve been doing it wrong this whole time? There are plenty of mistakes people make when brushing their teeth. First, they brush super hard like they’re cleaning bacon grease out of a pan, which can lead to receding gums and an increased risk for gum disease. Second, they brush by starting in the same spot and using the same motions, which often leads to spots that don’t get brushed as often. Finally, they forget to brush 20 to 30 minutes after every meal—a mistake that leads to plaque buildup, and a mistake that most of us make. For proper brushing, start in a new spot of the mouth every few days or so, and use a 45-degree angle to softly brush near the gumline to remove bacteria and food particles. Brush 20-30 minutes after meals, and before you go to bed, of course! With the right brushing techniques, you’ll dramatically decrease your risk of developing gum disease and other oral health ailments, and you’ll have the white and healthy smile you desire! 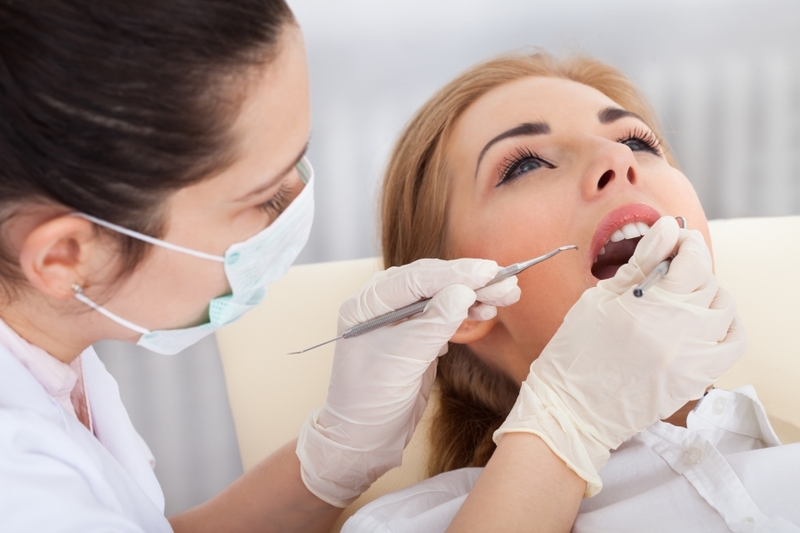 That’s it for Part 1 of East Pershing Dental’s series on The Biggest Dental Care Mistakes. Stay tuned for Part 2, and check out our other blog posts in the meantime!